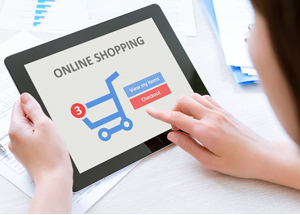 The benefits of e-commerce include its around-the-clock availability, the speed of access, a wider selection of goods and services, accessibility, and international reach. It’s perceived downsides include sometimes-limited customer service, not being able to see or touch a product prior to purchase, and the necessitated wait time for product shipping. A website is the face of your business in this online era, more people search about businesses through the internet. Lots of businesses give up opening up shop in a specific location and instead, focus entirely on online e-commerce store. An ecommerce website gives superior exposure to your local or international business and an extra edge in the competitive market and also helps a business in endorsing their products and/or services across the globe in shortest possible time. An IT consulting company to partner with, for outsourcing your custom/ bespoke software application development and maintenance needs. We offer offshore, onsite and offsite consulting services for our clients. © Beyond key Systems. All rights reserved.